A 15-year-old Shropshire school pupil is teeing up a promising golfing career as he swings into the new year. 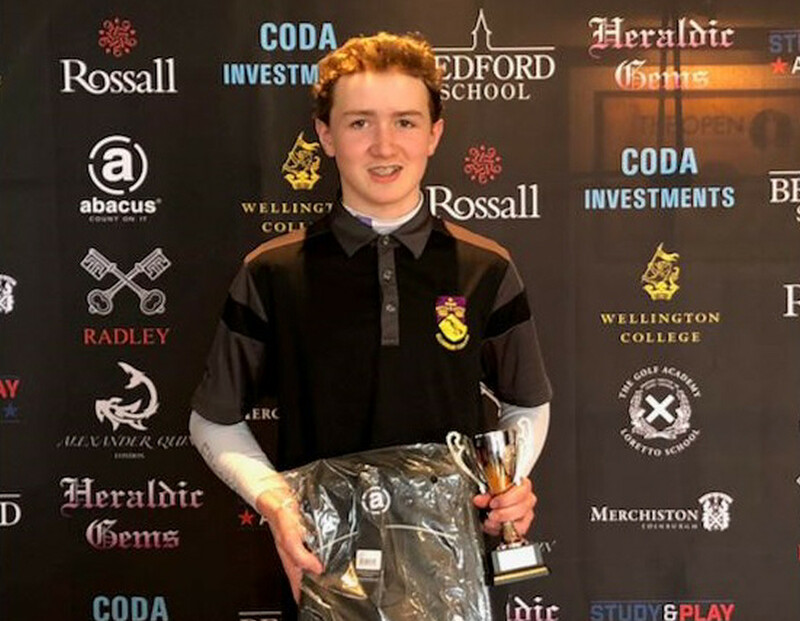 Dylan Jones, who combines his academic studies with golf training and competing at Ellesmere College, has reflected on a successful 2018, which has set him up for more progress this year. In his last event of the year, the year 11 pupil followed in the footsteps of Justin Rose, Sergio Garcia, Nick Dougherty, Luke Donald and Georgia Hall by taking part in the Junior European Open at the renowned Alcaidesa Links Resort in Spain. The five day event was played across two courses and Dylan made the cut for the final day. “I made the cut after needing a birdie on 18 to get four over,” he said. “It taught me a better sense of tournament golf and where I am, as I was playing against relatively good player. Dylan did well against a strong competitive field of 17-year-olds and aims to enter the tournament again this year. It follows various other competitions including a first place finish at the British Schools Golf Northern Links Open in March. Dylan joined Ellesmere College Golf Academy two years ago in order to combine his sporting practice with academic studies – and said it is paying off. “When I first joined Ellesmere my handicap was 29 but I got it down to 22 that summer, then within 12 months I was off eight,” he said. “It came down by seven overnight as a result of a school competition in Fleetwood. For next year I’m hoping to get it below four pushing three. “The golf academy at Ellesmere was a real attraction for me coming to the College and from day one. “I have really been supported by all staff in my academic and golf development. Harry Orr, Golf Liaison at Ellesmere College, said: “Dylan has displayed a great maturity and focus in his game this past year and I have seen him make great strides. Dylan has access to a full and rounded golf education, covering all aspects of the game with tution from PGA golf professional, James Davies from Mile End Golf Club – where Ellesmere College’s partnership allows students to make use of the facilities there. The excellent on-site facilities at Ellesmere College include a CONGU certified nine-hole golf course, SkyTrak Golf Simulator, an artificial putting green and access to strength, conditioning, fitness and cardiovascular gyms, on campus, supervised by a fitness coach. It also includes a minimum six hour’s supervised tuition a week, including video analysis, long and short game development, on course observation and fitness.